Presiding Bishop of God First Ministries, Bishop Isaac Idahosa has declared that prayers alone would not enthrone good leaders in the country. He asked Nigerians to get their PVC ahead of the 2019 general elections. Idahosa made the call on Saturday in Minna while addressing newsmen as part of activities to mark the 29th anniversary of his ministry. “The Bible says watch and pray as prayers won’t elect for you the next president or the next governor. “It is your franchise, your PVC that can do that and that is why we have been educating members on the need to get their PVCs. “And as religious leaders, we must lead by example. You can preach all you know but you only reproduce who you are. “So if you ask your followers to get PVC and you don’t have one, you have done nothing. “And again, if you don’t have your PVC don’t complain about bad governance. “Our leaders must walk the talk. You cannot be saying one thing and be doing another thing. “Doing that will create distrust and once there is distrust, you cannot have proper followership,’’ he said. “There is a lot of poverty in the land and the poverty rate has helped increased crime rate. “We cannot have a GDP as high as ours and still have people struggling to feed. “The economy can only be said to be strong when the common man has food on the table and is able to send his children to school. 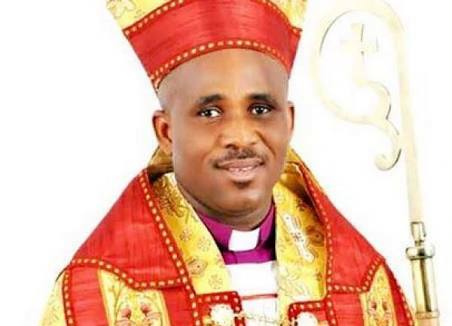 On the recent killing of a pastor in Kaduna, the clergy man condemned the act, and said that it was unacceptable ‘whether it is a Christian or Muslim’ clergy. He called on Christians and Muslims to imbibe the spirit of tolerance.